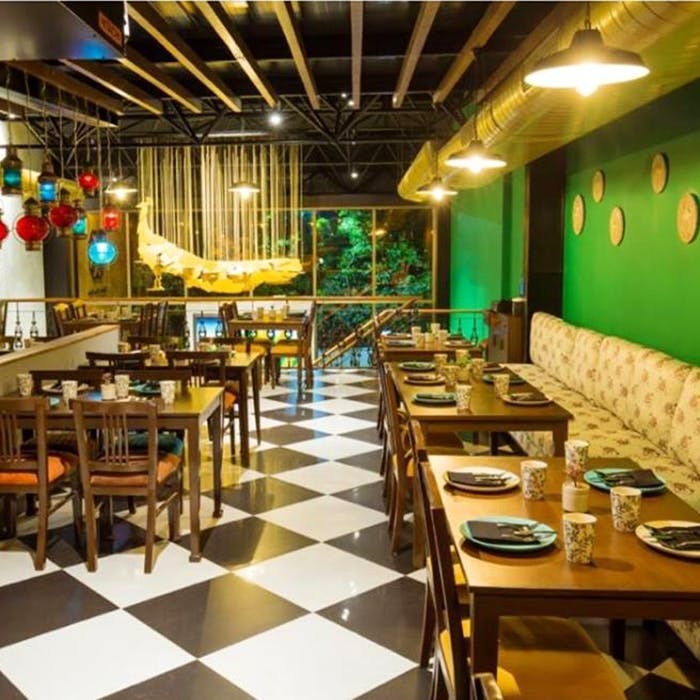 If you are the kind who likes twists and turns in movies, life, and food, then Bharat Bistro might appeal to your taste. They have dishes from different states like Tamil Nadu, Kerala, Maharashtra, Rajasthan, Bengal, and Delhi. They have both thali and ala carte options. We are totally in love with their dabeli which is primarily bun with stuffings. Bengalis can opt for their thali option that comes with luchis, kosha mangsho, cholar dal, alu poshto, and begum bhaja. Non-vegetarians can gorge on dishes like keema pav, Mustard Steamed Sea Bass, Rawas Rava Fry, etc. Don't forget to try out their dessert section that has Santrani Kheer, Rabdi, Gulab Jamun Cheese Cake With Rose Ice Cream. phew!